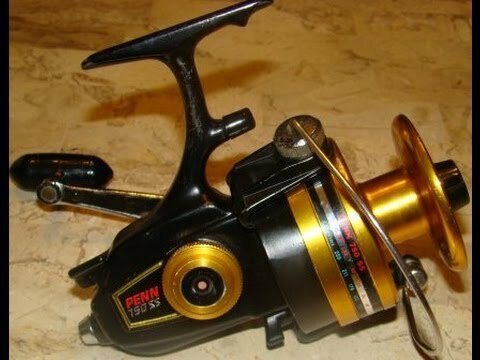 The →fishing reel← is one of the most important pieces in the world of fishing, so that it works correctly must be performed maintenance and cleaning always after use, its system is very accurate and must be treated properly so that its operation is Exemplary and does not cause any problems on a good day of fishing. 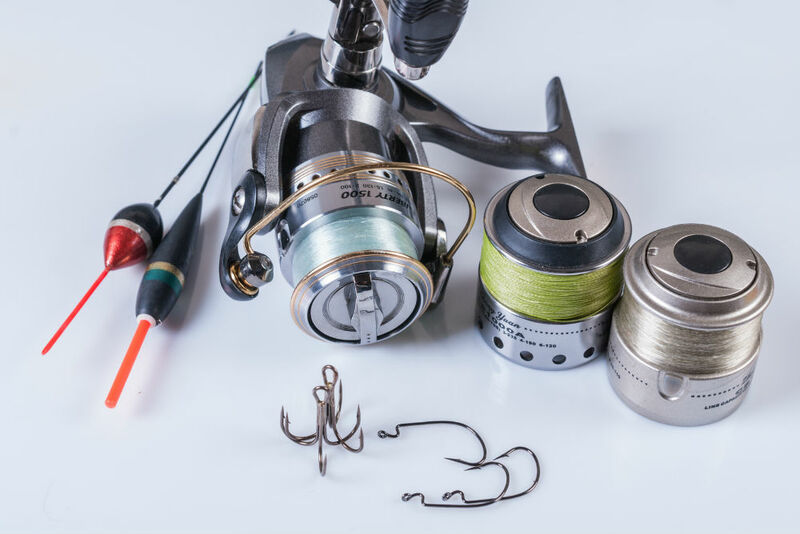 The parts of the fishing reels tend to be quite delicate and therefore their wear is very common so a good care, cleaning and maintenance will extend the life of the fishing reel for much longer. One of the things that should be avoided is that the reel can get wet, try to keep the reel away from sea water as it often damages its mechanisms, oxidation and deterioration are very common in these cases, if you really want a greater Durability care must be absolute, try to use cleaning products that take care of the reel and offer an immediate reliability of its use. For maintenance and cleaning, this cleaning must be carried out in a suitable place, a dry space that allows to support all the parts comfortably, as well as the special lubricants or the greases and small pieces that are going to be used. It is important to use accurate and clean cleaning parts as incorrect cleaning can damage the spool and its proper operation, try to keep the spool clean at all times so that no more wear or dirt. 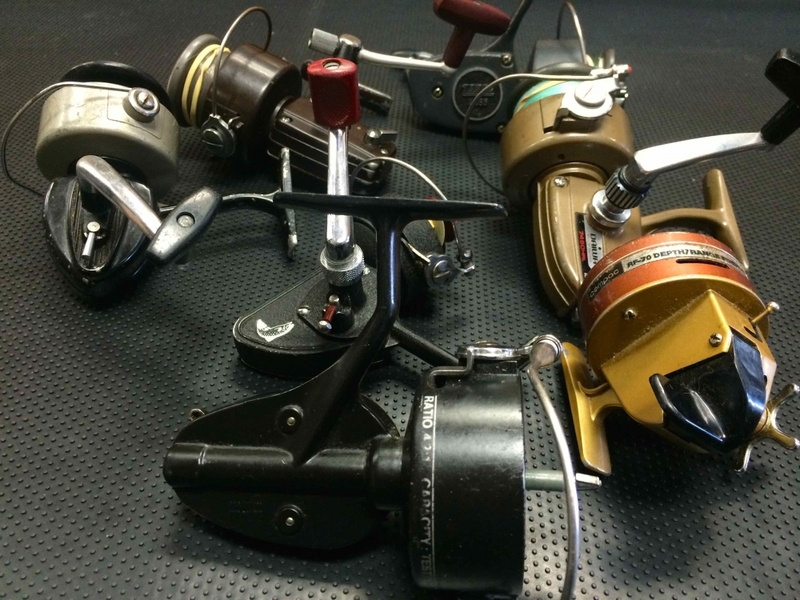 If your reel has been hit by accident or has fallen into the sea, it is possible that it immediately fails its mechanism, re-inspects the reel with great care and checks if the mechanism has been affected, if it has play or if it has damaged Some piece, check if your repair can be done at the time or if you must wait to have the necessary parts. Jewels like the Shimano Ultegra XSC 10000 if given a minimum maintenance can last a lifetime. It is necessary to have a brush with the fine bristles, a cloth that is quite soft, an oil similar to that used to loosen any piece or for sewing machines, a screwdriver according to its screws (this part will depend on the screw used by the manufacturer ) And a table or clean space to support all the pieces. All the reels usually have some traces that have to be removed, after cleaning with the brush gently wipe the cloth, in this case you can use a little silicone spray and seconds later pass the cloth, use a few drops of oil and To incorporate them by all the pieces so that they can go through the metal with the cloth, some pieces are embedded to each other and need to be disassembled for a better cleaning. 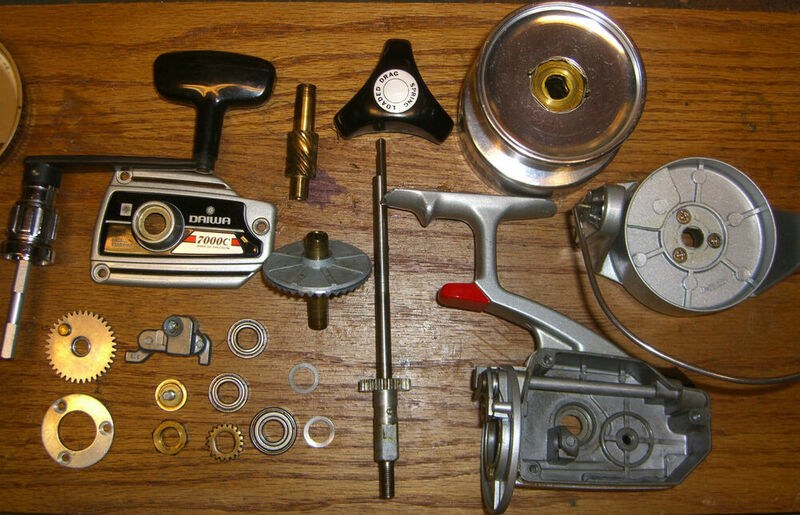 When all of its exterior surface is clean, it is important to begin dismantling these parts, it would be the part where the spool is given a thorough cleaning, the handle, its coil, the main part of the reel and even the Brake, keep everything on the table and go piece by piece cleaning softly and meticulously. Take special care with the yarn guide system, in this part of the reel the difficulty of its cleaning will depend on the type of reel and the range, it is very convenient that this piece is treated with a delicate care. 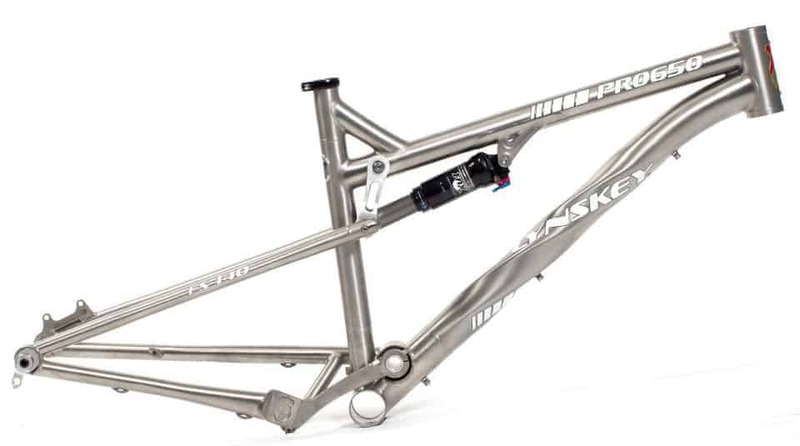 The cloth is essential for this cleaning as well as a little oil that will help remove the nitrate from the parts avoiding the possibility of rust, you can also take care of the paint and the shine of the metal. 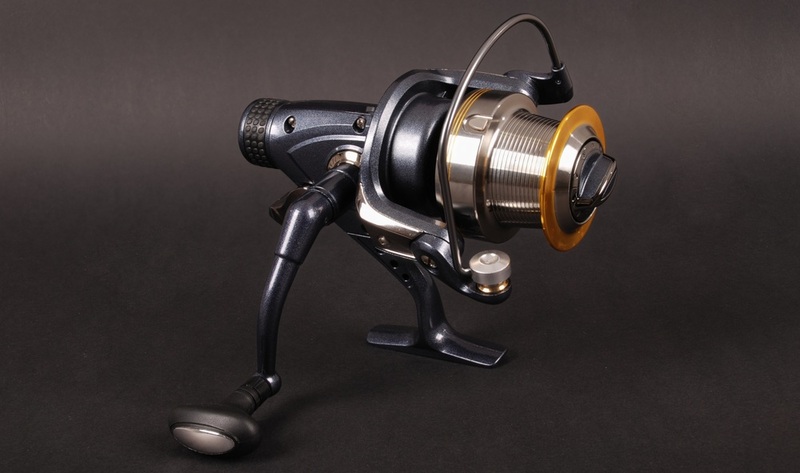 It is necessary to keep all parts clean until they reach the moving areas of this reel, areas that can also be articulated and that will need a lot more lubricant since they are in continuous movement and they wear out when performing their function, once they are already These areas such as the bobbin of the reel, the handle the pulley, the wire guide or its main axis must be correctly cleaned and do not leave any dust or grit in their small holes. One of the things absolutely necessary when cleaning is that if the parts to be cleaned are removed, they are placed correctly afterwards and absolute care is taken to remove them so as not to break or damage any part of the spool, Correct positioning and not to force the reel, for this it is necessary to take into account the use of the screwdriver that can help to remove the embedded parts without jerks or efforts of the most closely connected parts of the reel. 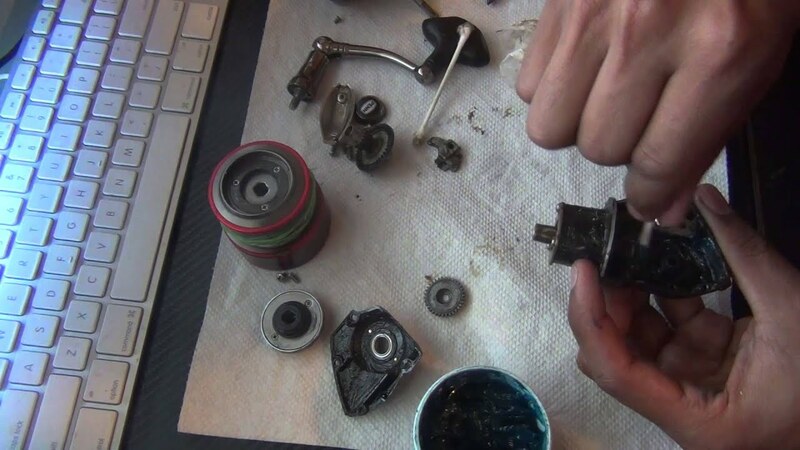 Once everything is removed, the protection of the parts, starting with the central axis by adding a little oil on the area and rubbing properly, if you prefer to use fat in this part, it is best to use appropriate fat exclusively for the Reel, grease is advised especially for bearings that will be in contact movement and will grip much more so that the bearings do not dry as often, any other grease would damage both the paint and the material and would spoil the reel much faster. After the central axis take into account the handle although it is one of the outermost parts is also very important and is in continuous movement when it comes to pick up, if this piece malfunctioned possibly the fishing would be lost, its cleaning is the same as the Of the central pieces, after removing in its small holes and with a brush all the sand that may have, proceed to pass the soft cloth with oil that will protect the piece during his fishing day. According to Alltimefishing , a good oil in our fishing reels will extend the possibility of use and enjoy your reel for a long time, it is necessary that the fisherman understands that the reel is in continuous contact with the hands, the sand that can be embedded, the remaining remains Depending on the manufacturer of its components, the type of reel and its way of use, will have more or less wear or deterioration but will undoubtedly always need an exemplary maintenance . This maintenance task can be quite tedious, obviously if the fishing day has been very good the work will be taken much more calmly, but it must be taken into account that a Reel Always Has To Be Cared For And Protected Regardless Of That On That day Of fishing would have been fished or if no piece had been brought home. 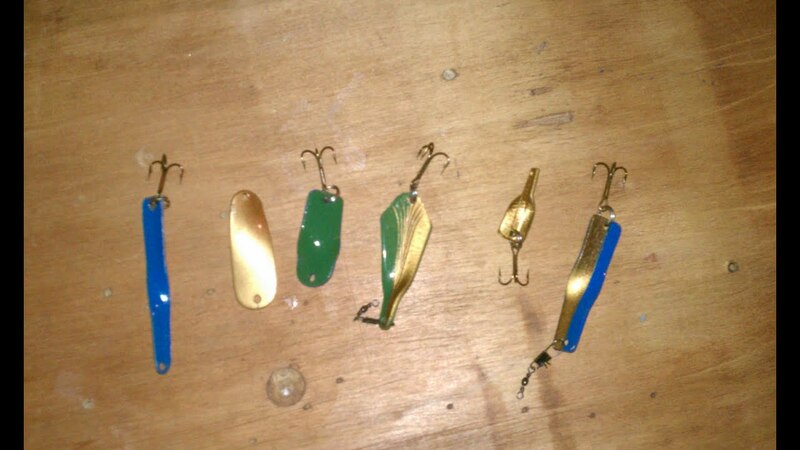 Nor is it important the type of fishing that is done or the pieces that have been caught, whenever the day ends, the reel must be replaced and taken care of to leave it as new. 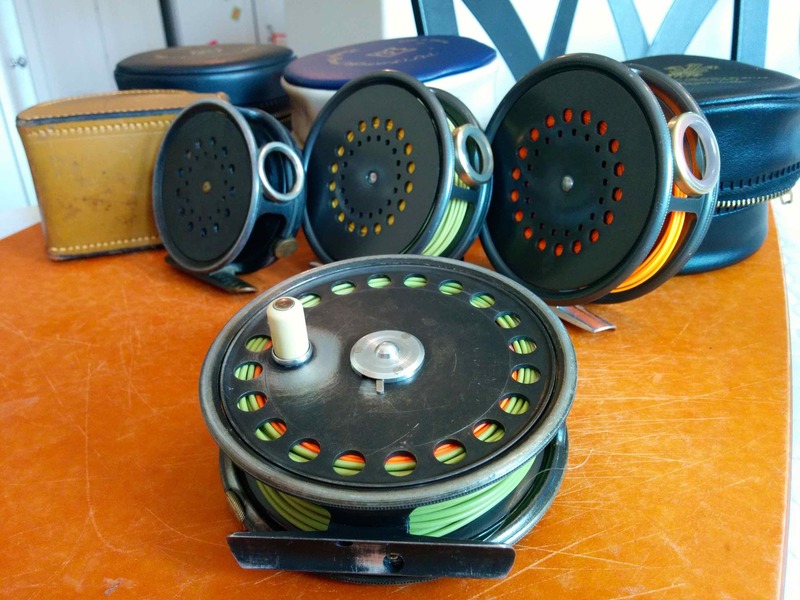 If a reel is not kept clean and well cared for, it is more than likely that it will suffer a significant deterioration in a very short time, never leave the cleaning for another day as the saltpeter and the sand can cause the paint to jump, the part deteriorate Or the saltpeter is spoiling the material with which the different parts of a reel have been manufactured. A very good method to clean the thread and keep the line well protected is to use the Vaseline and some running water, to pass this mixture with a handkerchief or cloth by the thread and to pick it up slowly inside its coil so that it is cleaned during The process, then the whole piece can be removed since the thread would be clean beforehand, it is worth remembering that although it is true that the reel does not have to have too much nitrate if it is treated with care, the line and the hook if they are in continuous Contact with the water and therefore this process is necessary before and during its collection in the coil so that the saltpeter and the rest of the sand that could have been incrusted does not damage its coil nor its reel. The coil may not be completely dismantled for maintenance as it is difficult to stain on the inside, but if it is important to clean your first washer and the brake cap. Vaseline is a product very suitable for immediate cleaning and removes any trouble to the fisherman, it is only necessary a simple handkerchief or soft cloth and Vaseline for any possible tightness if this happens during fishing, with this type of products Have a better fishing day and have the parts with a good maintenance all the time. In order for your reel to have a greater resistance and can use all its qualities as the first day of use, you must be very conscientious and perform a maintenance and cleaning of fishing reel fishing as soon as you get home, some fresh water and a Little oil will be the fundamental products, never use oils or fats that are excessively strong or not suitable since with a bad use you will soon have problems with your reel and you will have to buy spare parts to improve its use, offer your reel a Optimal quality with small care. 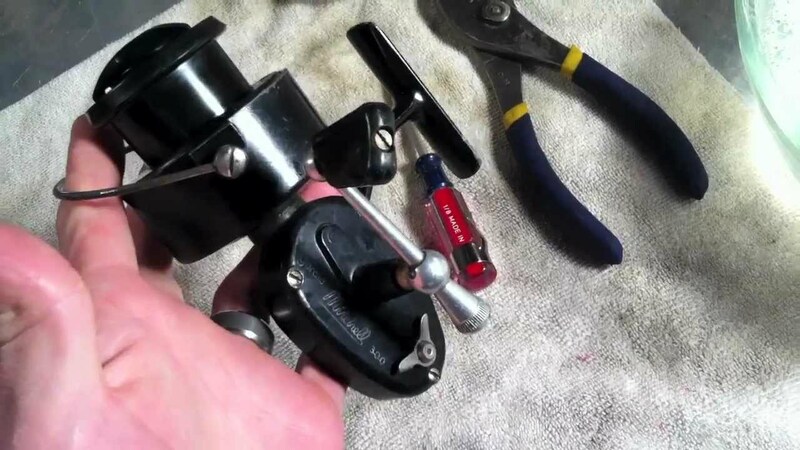 Always remember to remove the excess oil from the parts with the same cloth and screw all parts again as soon as it is dry so the reel can be mounted for next use. 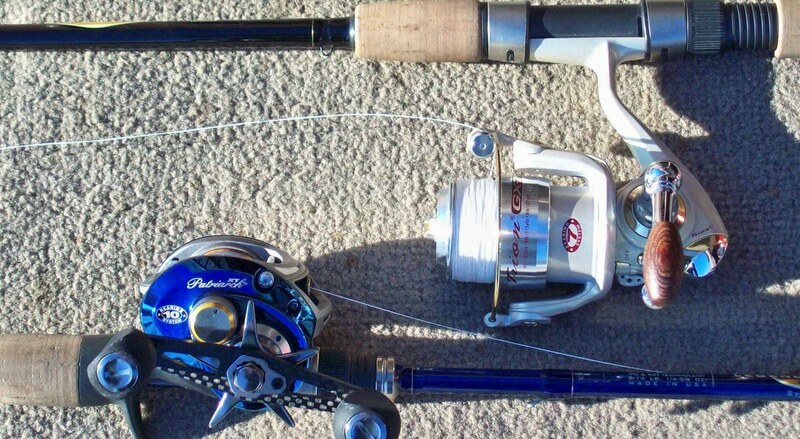 Whether you fish in freshwater or saltwater, it is important that the fisherman always take care of the parts that he must fish for, the cleaner the reel the greater the performance. Fishing Masters Show Soon It’s Again!